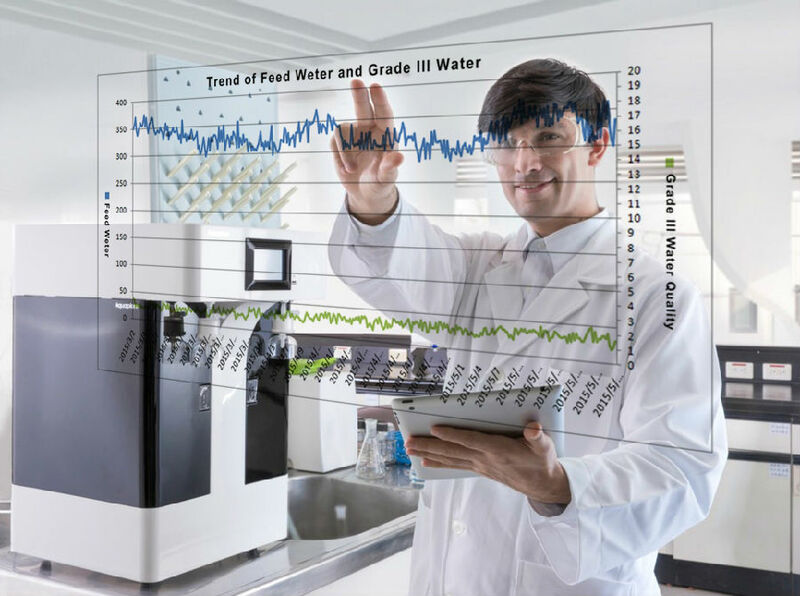 Intuitive Graphic User Interface provides you access to all the information on screen, from running status to water quality; from purification capability to water usage record. This unique feature simplifies all operations into a few finger touches. Nothing to learn, use your instinct. Forget about notes and pencils, the password protected access provides for multiple users to operate the same system with independent log entry and automatic records are made. Switch between single/multi-user modes dependent on your scenario. Account management can be no easier. 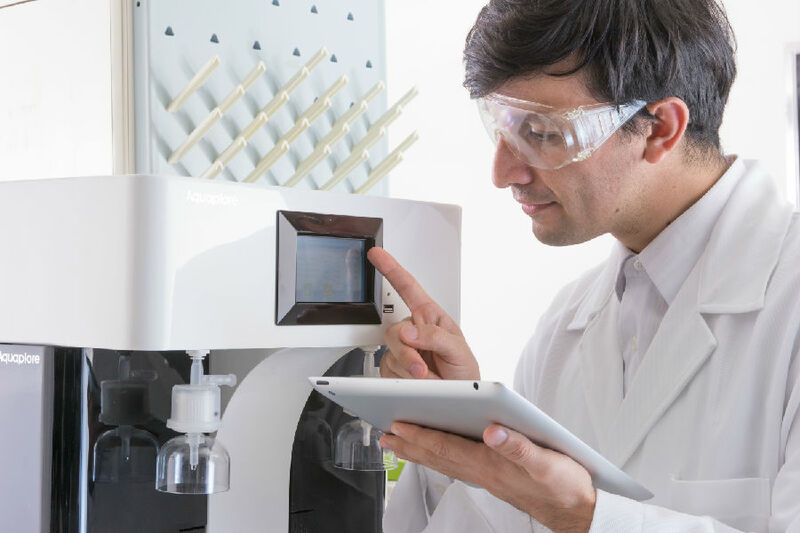 Precision Dispensing for small volume less than 2ml, no calibrated flasks required for dispensing by manual operations(eyes and hands free). 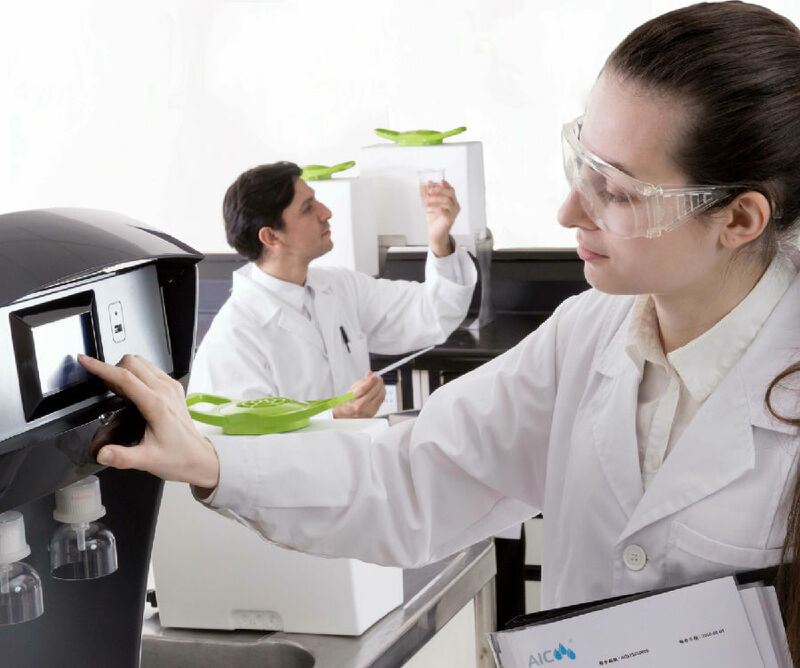 Repetitive Dispensing..Quantities can be arbitrarily set in ml units, and the “ Aquadispense™” remembers multiple groups of commonly used water quantities. So you can rapidly access multiple bottles of the same volume of water, saving you from the repetitive work .Quick and Efficient. Large Volume Dispensing..utomatically dispensed saving you down time. 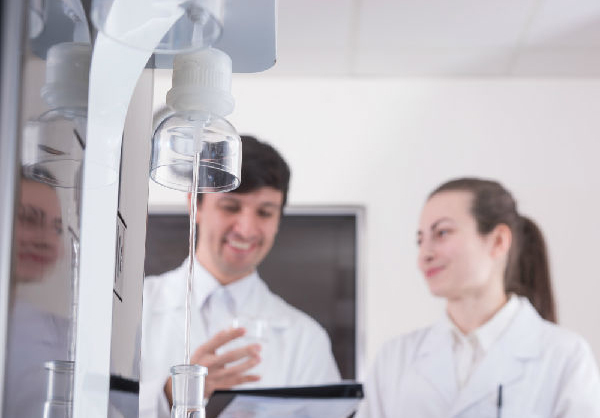 Solves the problem of a separate dispensing device which creates the risk of contamination from pipelines and distance limitations. Especially suitable for multi-laboratory usage. Portable ultra-pure water tank with patented hydrophobic multi-media breathing device to prevent particles, bacteria and volatile organic gas pollution to ensure the purity of water during your operations. Ergonomic Handle, easy to move and freedom to put tank where required. 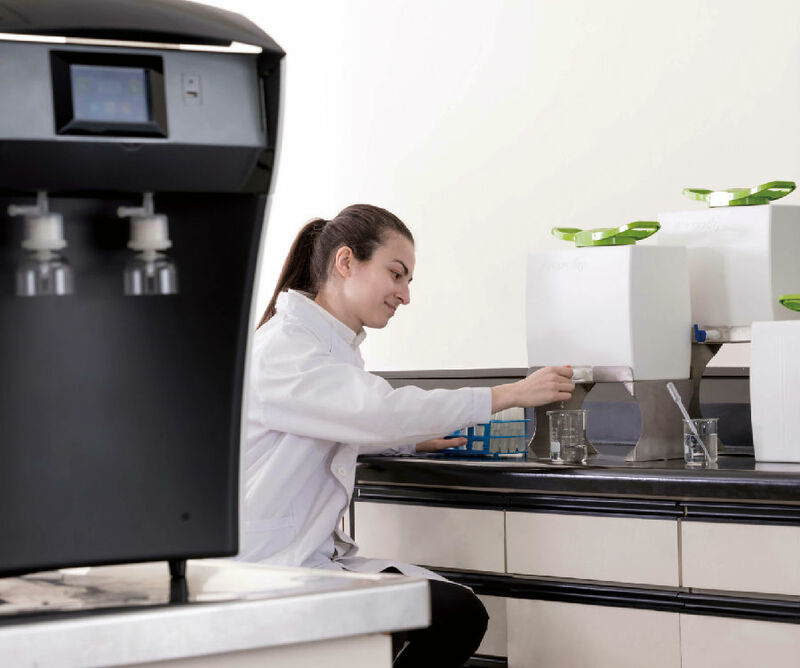 Pre-set dispensing time, the next day you can obtain fresh ultrapure water at the exact time you require. No down time. 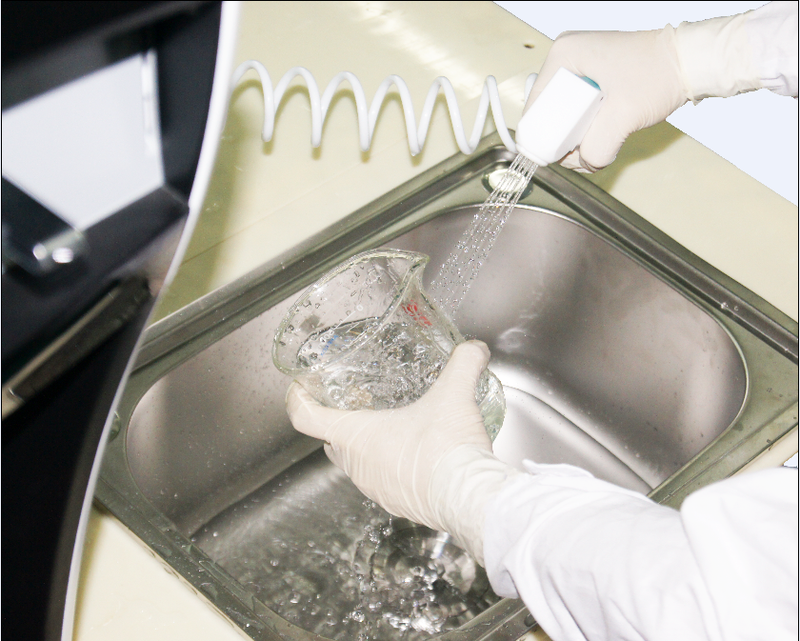 Separate from the dispensing port, there is a designated outlet for quick cleaning and flushing of all types of laboratory glassware.